This Canadian Loves Americans! – Happy 4th of July! As a Canadian, I want to take a moment out to tell my American friends why I am so grateful to their country. I mean, would Canada even exist without the US? I know, I’ll probably get slammed on this post from all the patriotic Canadians that think our country can exist in this world without the support of our good friends to the south. 1. Relations with Canada and the US Span more than 200 years. 2. Together, we have managed to develop and maintain one of the most stable and mutually beneficial relationships in the modern world. 3. Each is the other’s chief economic partner and large-scale tourism and migration between the two nations is second to none. 4. We share the world’s longest border. We work hard together to operate those borders. 5. Trade between our countries has continued to expand over the last 200 years. 6. We have very close cultural ties. 7. 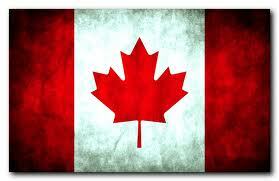 Canada is America’s favorite country according to a 2010 Gallup Poll. Well, of course there are many,many more facts that can be stated here. Ok. I am sure the “naysayers” are about to hammer me on this post. GO AHEAD! I DON’T CARE. One thing that I am certain about. All of my wonderful US friends and colleagues are kind and generous people. At least the ones that I know. They treat me fairly, always take an interest in my world and go out of their way to help me. Just like my Canadian friends…. I just don’t see a BIG difference. At least not in the people. I mostly see hard working, honest and smart people trying to make their mark in the world and earn a living for their families. Again, no difference. The US is a nation of Freedom. Oh, did I mention how grateful I am to my American friends for helping to keep our borders safe? Or the skies safe? I am reading a book called “Patton’s Vanguard” right now, written by our restaurant community’s very own Don Fox, CEO of Firehouse Subs. 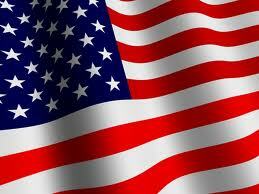 And let me tell you how grateful I am for the Allied forces and the sacrifices they made for MY freedom. Oh, and did I mention what a hard working, kind and generous man Don Fox is? He could be Canadian… We’d certainly have him here! I am free to write this post today, pursue my “American (Canadian) Dream”, just like so many before me. My family came over to Canada from Eastern Europe at a time when it just was not safe for them anymore. Some of them went to the US as well. And they worked. Worked hard. Made a life for themselves so that I could have the benefits today. And what about my kids? They live a wonderful, safe and full life. Don’t get me wrong, it all comes with a lot of hard work. It’s not handed to me on a silver platter. No way. I wake up and try to make a positive contribution each and every day. And if not for the leadership of President Eisenhower during the liberation of Europe, would I be writing this post today? Highly unlikely. Yes, Canadians have a lot to be thankful for. Could I focus on all the negatives? Of course I could. But what good would that do? Every country has it’s problems. Canada is no different. Why would I slam US politics or policies? The media does a better job than I ever could. But isn’t that how the media works? Report on bad news, scare people into believing that the sky is falling and watch your ratings soar. When you have more than 300 Million people, you are bound to have a difference of opinions. You are bound to have some “bad eggs” in the system, crime, violence and illegal immigration. Greed? Well, there are greedy people everywhere in the world. That doesn’t make Americans greedy! No. Not at all. And so, I could go on and on and on. But all I want to do is thank my American friends for their support. For their concern. For their willingness to raise the bar and for treating Canadians so well. For giving us the opportunity to share resources, to sell goods and services and most of all for protecting our freedom. Yes. Our freedom. Without it, I would not be writing this today. So, thank you to all my American friends, colleagues and supporters. I am grateful to each of you. Thank you for your kindness. Please know that you can call on me anytime to come to your aid, and I will always watch your back! Thanks for taking the time to share your thoughts…. I spend a fair amount of time in the US now and agree; there is so much to be thankful for in our relationship. One thing I am impressed with every Fourth of July is how all Americans come together to commemorate and how they make others feel welcome in that celebration. I think North Americans sums it up nicely! Happy 4 th of july Americans and it is good to have good neighbors around!, we are all humans, that is what should matter. Erle, would you advice a good software for food inventory control used is successful restaurants in your area? I will appreciate your professional opinion. Thanks. tmre2003@yahoo.es. My world is certainly richer for knowing many a Canadian! Thanks Erle!